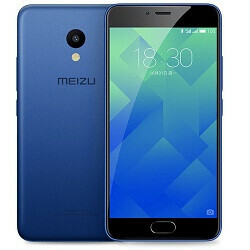 If you are searching for a budget friendly android smartphone with a pretty good quality and nice specs then meizu is one of those brands to look out for. 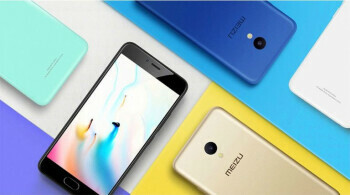 Meizu has just announced a new budget friendly smartphone at an event in China and it's called the Meizu M5. The new Meizu M5 features a 5.2-inch HD 2.5D curved glass display with a resolution of 1280 x 720 pixels. It is powered by MediaTek MT6750 64-bit-octa-core processor with a clock speed of 1.5 GHz and runs on Yun OS with FlyMe UI out of the box. It has a 13-megapixel rear camera with dual-tone LED flash, phase-detection auto-focus (PDAF) that lets you focus in just 0.2 seconds and a 5-megapixel front-facing camera. It has a hybrid SIM slot which means you can use the second slot as a microSD slot. It comes with 4G LTE connectivity with VoLTE, a finger sensor embedded in the home button which can unlock your phone in just 0.2 seconds and also packed with a 3070mAh lithium polymer battery. You can check out the key specifications below. The Meizu M5 comes in Mint Green, Glacier White, Champanage Gold, Sapphire Blue and Matte Black colors and is priced at 699 yuan (US$ 103 / Rs. 6,890) for the 2GB RAM with 16GB storage version and 899 yuan (US$ 132 / 8,860 approx.) for the 3GB RAM with 32GB storage variant. It is available for order in China starting today and goes on sale from November. There is actually no official date yet on when it will be available globally.